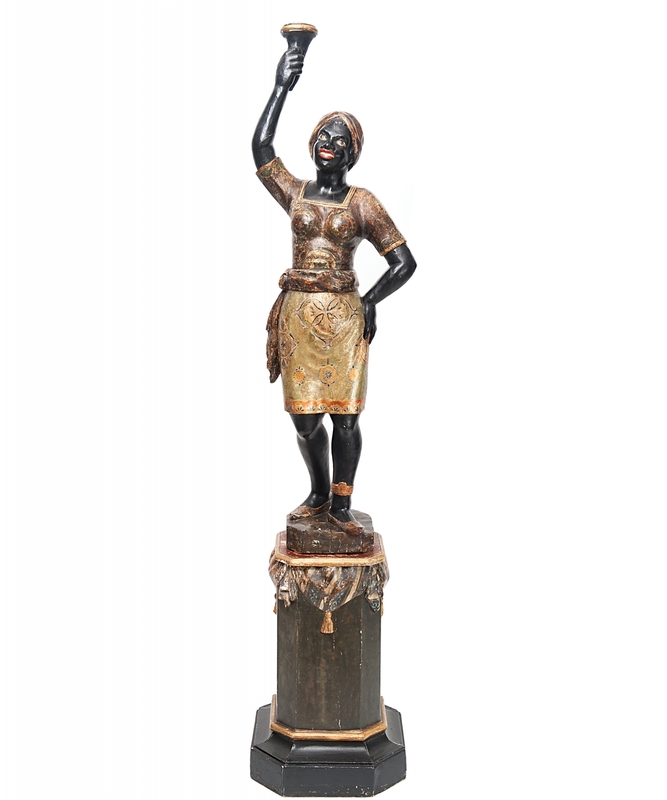 Nice carved pine wood female blackamoor, with upraised right arm, as support for a trochere, the other arm is resting on the hip. 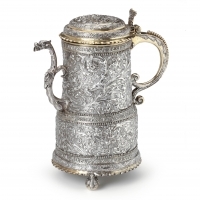 The body parts are lacquered in black, the skirt heightened with intricate gilt work and polychrome finish. 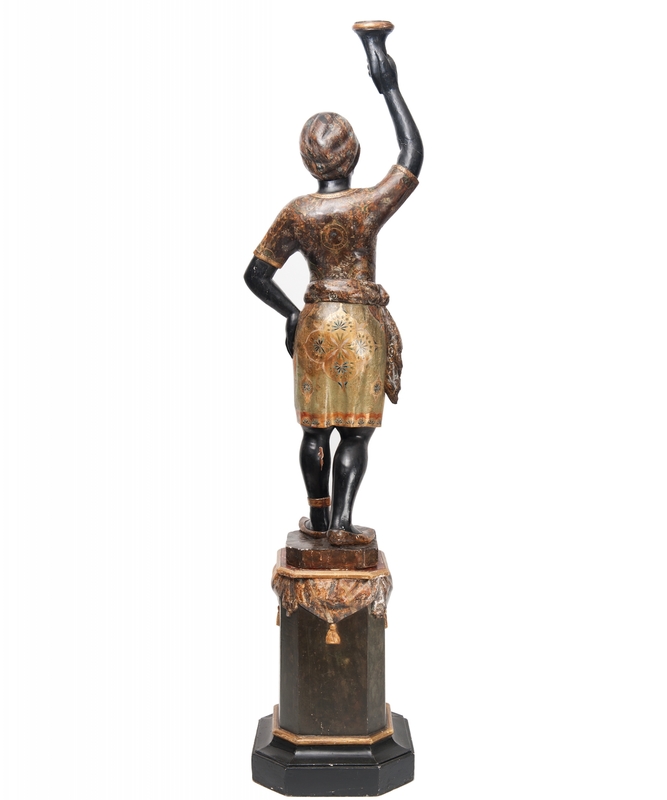 The blackamoor figure is raised on a detachable carved octogonal base with drapery and tassels. Mesurements: total hight is 198cm. (77.95") and the figure is 136cm. (53.5").